What Was The Aetolian League? The Aetolian League comprised of the top elites from small villages in ancient Greece. Aetolian League controlled much of central Greece. The Aetolian League was a confederation that comprised of ethnic communities from small towns and villages in ancient Greece probably around 367 BCE. The Peloponnesian War triggered the formation of the League, and most likely in opposition to the Achaean league and Macedonia. Because of the war, the group came together for defense purposes and later for financial benefits. During this war period, the Aetolian League became active in defensive affairs especially against the invasion of the Roman Republic into the affairs of the Greek. Its defensive activities against the Roman republic saw its prestige and recognition among the Greeks. The Aetolian League comprised of the top elites from small villages and towns consisting of mostly herders and farmers. A chief magistrate who was annually elected headed the league. The elections were conducted among the federal council and the primary assembly. The primary assembly, in this case, consisted of men at the military age level. On the other hand, the federal council was a representation proportion to the population size represented in the Aetolian League. Both the primary assembly and the federal council functioned in the areas of the economy, trade, military, and foreign policy. The functions precisely included formulation and implementation of laws that favored economic stability. For instance, the primary assembly, which comprised of all men of military age met twice a year to make decisions regarding foreign policy. The military functions included formation and assembly of armies, commanding wars, and directing military orders. The foreign policy included imposing of taxes, economic regularization, and adoption of the common currency. The foreign policies established focused on economic and financial gains that were geared to provide the benefit of the League and its provisions. The fall of the Aetolian League came with the signing of the Rome peace treaty. Initially, the Aetolian league was an ally of Rome which later resulted in hostility due to its invasion into the affairs of the Greeks. Therefore, the signing of the 189 BCE peace treaty downed a new era to Aetolian League with it becoming a subject ally to the Republic of Rome. With the signing of the treaty, the League was versatile only by name while its prestige and influence diminished significantly. In the midst of the rise and fall of the Aetolian League laid its victories, which were recorded as achievements of the league. The paramount achievement was the restoration of peace that was experienced for a period between 278 until 220 BCE. Peace is an equivalent of economic stability and development. Therefore, this period is attributed to prosperity, financial, and economic achievement experienced by the League. Despite its fall, Aetolian League formed a memorable history in the Greek books, especially during the Hellenistic civilization. One historical aspect laid in its adaptability of a stable constitution. Initially, the Greek method involved force and invasion, which led to massacre and destruction of property. However, the Aetolian league introduced a constitution system, which entailed the use of persuasion and participation. This method made the league establish its course and regime. 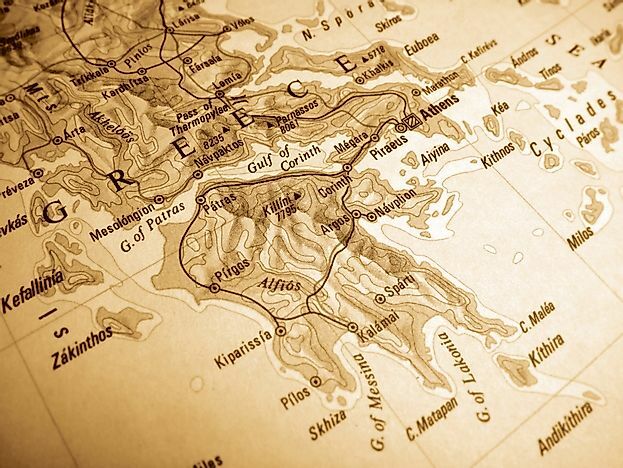 What Was The Achaean League?